Wanderer Rachel Lowe has made her Westfield Matildas debut, coming on as a substitute in the national team's 2-0 victory over China in the Algarve Cup. Results earlier in the day meant Australia had to win by at least four goals in order to make the final and despite a plethora of chances, Alen Stajcic’s side were unable to convert enough of them to drag themselves across the line. Instead, Australia will now play hosts Portugal in the playoff for third and fourth. 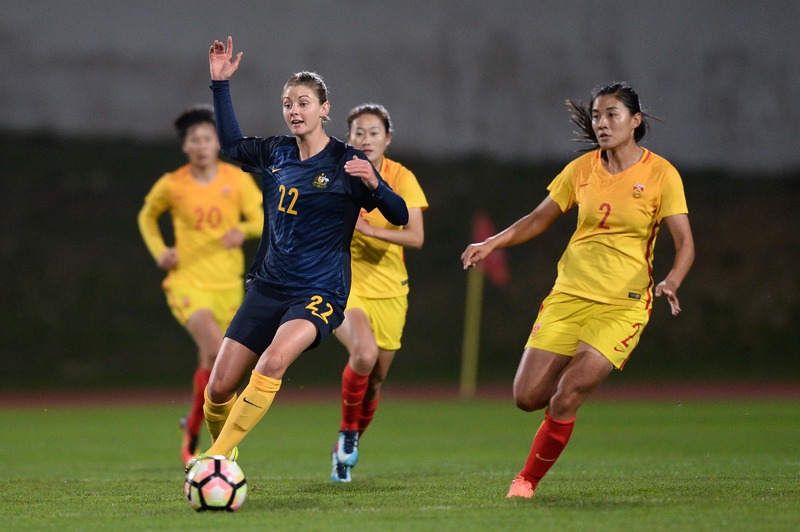 Chloe Logarzo opened the scoring for the Westfield Matildas early in the second half after Australia had struggled to make first-half inroads against a well-organised China side. Sam Kerr added a second in injury time to ensure the three points for Australia, but it wasn’t enough to see them into the tournament’s showpiece. The Westfield Matildas had a number of other chances as they laid siege to the Chinese goal. Kerr had the ball in the net just on the half-hour after an Elise Kellond-Knight free-kick, but the goal was chalked off for a foul on the Chinese goalkeeper. Early in the second half Lisa de Vanna found herself through on goal before being denied by a superb last-ditch sliding tackle from Wu Haiyan. Kerr had a header saved after 64 minutes with de Vanna blazing the rebound over with the goal at her mercy, before goalscoring hero from the 4-3 win over Norway Larissa Crummer rattled the crossbar with a header shortly afterwards. The woodwork again saved 16th ranked China after 72 minutes when Logarzo let fly from 25 metres, only to see her rasping effort rebound off the upright. Rachel Lowe made her debut at the Senior level, coming on for Lisa De Vanna in the 85th minute. Alanna Kennedy played a superb ball forward to Logarzo, who leapt on the penalty spot and skilfully looped her header over Wang Fei for the game's opening goal. Australia’s golden girl cleverly chipped the ball past the onrushing ‘keeper from 20 yards to double the advantage in added time and score a 13th goal in her last nine internationals.